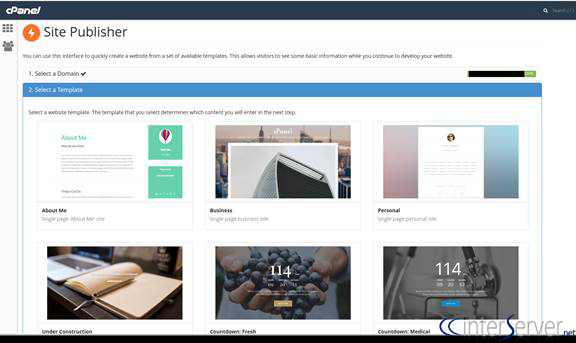 Site publisher interface allows you to quickly create websites even if you have never created a website before. You can select the appropriate template for your website and then enter the website content that the template requests. Why should I use Site Publisher? 1) You only need a simple website. 2) Your future website isn’t ready yet. 3) You want to try out a site before you decide. 2) Navigate to Home >> Domains >> Site Publisher. 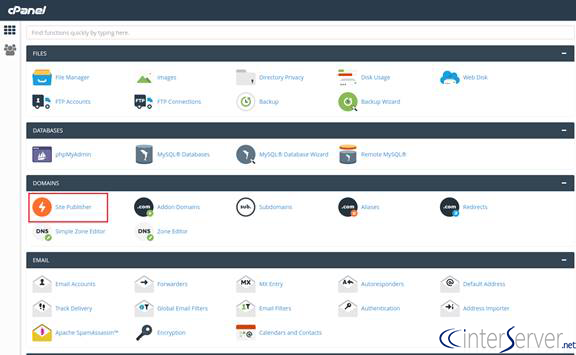 3) Select a domain from the list of available domains, addon domains, and subdomains. 4) Select a template from the available options. 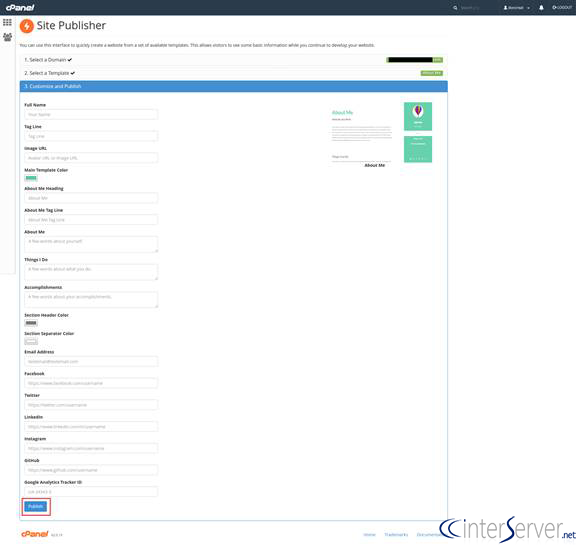 The ‘Select a Template’ section of this interface displays a preview image, name, and description for each available Site Publisher template. If you selected a domain that already uses a Site Publisher website, the system pre-selects the current template. 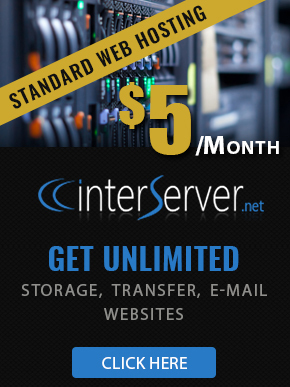 5) Enter or update the desired website content. 6) Click the ‘Publish’ button. A confirmation message will appear with a link to your new website. The site contents are stored in your account’s public_html directory. You can remove the files and replace them with your own custom files if you prefer, either via FTP or File Manager.